As a small business owner, you’re generally operating with a pretty small crew. Maybe you’re just starting out, or maybe you’ve been in business for a while and want to keep your team small. You might even be running a business of one, where you’re the one doing everything from marketing and servicing customers to making lease payments and managing inventory. No matter what your business structure — if you’re like many small business owners, you probably work far more hours a week than you would if you worked for someone else. And no matter how much you love your job, you (or your friends and family) likely wish you could reclaim some of that time. But if you don’t have the budget or desire to hire more staff, this dream may seem unattainable. However, it doesn’t have to be! Instead of bringing in more people, the solution lies in making sure every aspect of your business is as organized as possible. The more organized you are, the more efficient and productive you can be. And when you’re able to accomplish more in fewer hours, the remaining time is yours — do with it what you will. 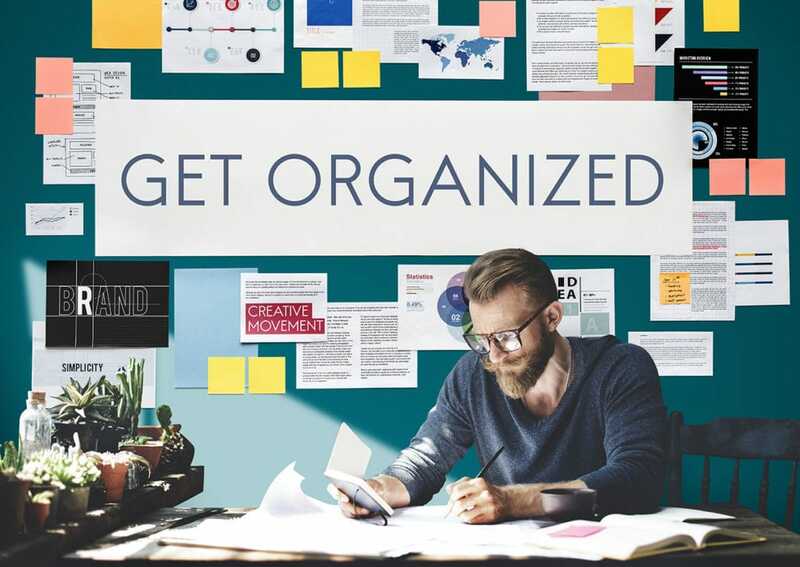 Here are some tips for getting organized and staying organized as a small business owner. When you first set up your office space, everything probably looked pretty neat and tidy. But over time, it’s inevitable that you’ll accumulate paperwork and all those other accessories that go along with running a business. By now, your office might look like a tornado ran through it. If you find yourself spending any amount of time just looking for stuff, then you definitely need to get your office space organized. Gather up all of the papers and objects that are sitting on surfaces and sort through them carefully. If you don’t need it, toss it. And if you do need it, make sure it has a permanent home. If this means buying some old-school filing cabinets or desk organizers, so be it. When your physical workspace is clean, it’s mentally easier to develop an organized process for getting work done. As a small business owner, your customer relationships are the heart and soul of your business. Naturally, you want every customer to feel important. But it’s hard enough to do this as a small team — and it’s even harder if you don’t have an organized system for tracking customer data. The best way to keep your data organized is to use customer relationship management software. These systems consolidate contact information and conversation notes in one convenient location, streamlining the process of looking up customer details. And if the CRM integrates with your accounting software, you can even view transaction information in the same place. This makes it easier to keep your finger on the pulse of each customer’s account and provide highly personalized service. And when your customers are satisfied, you’ll spend less time dealing with complaints and more time getting other work done. Unless prospective customers know about your company, they’re not going to buy from it. So when you’re getting a new business off the ground, it’s natural to want to promote it at any opportunity. But this kind of “shout it from the rooftops” marketing is only sustainable for so long. After a certain point, you need to develop a more organized marketing strategy so you have time to focus on other aspects of your business. When developing marketing campaigns, you want to be sure they’ll resonate with your audience. But don’t just guess at who your audience is and what they want to know. Instead, use the data in your CRM to map out the demographics and buying behavior of your current customers. This information will help you develop buyer personas, which in turn will help you organize your marketing efforts. Your CRM is also a valuable resource for streamlining email marketing. 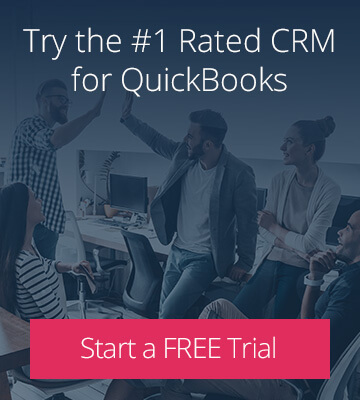 Rather than exporting and uploading your QuickBooks customer list (or worse, sending hundreds of emails manually), send your CRM contacts directly to your email marketing software with the click of a button. You know the feeling. Tax time is coming up, and you haven’t been diligently logging your expenses throughout the year. As a busy small business owner, there was just never enough time to deal with those receipts; you figured you’d have more time in the new year after things “settled down.” As it turns out, you’re busier than ever — this is great news for your business, but not for the looming tax deadline. Make this the last year you end up in this position. Starting now, spend the last few minutes of each day tracking the day’s expenses. File or scan receipts into labeled folders and come up with a naming system that tells you what each document is without having to open it. If you prefer a more digital solution, there are also a number of apps available for tracking business expenses. Whichever method you choose, taking 15 minutes each day to stay organized will save you (or your accountant) a massive headache at tax time. Even with solid software at your fingertips, it’s time-consuming to constantly flip between programs. In addition, entering data into multiple systems can lead to errors that have negative repercussions down the line. To maximize productivity and minimize errors, you want to automate and integrate as much of your work as possible. As mentioned earlier, using a CRM that syncs with your accounting software is a great organization solution. When you do so, you can enter data in one system and it will automatically sync to the other. This frees up valuable time that would otherwise be spent on double data entry. It also gives your employees immediate access to important updates. 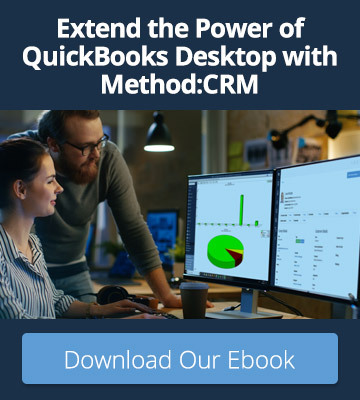 Meanwhile, using a CRM that integrates with your email provider (like Gmail or Outlook) is another huge time-saver for small business owners. Not only can you save email correspondence to your CRM directly from your inbox, but the visibility into each customer’s history will empower you to respond to emails faster. There are plenty of benefits to getting more organized at work. Your workday will feel more pleasant and less chaotic. You’ll be able to provide your customers with better service, which will ultimately help your bottom line. And you just might be able to work more efficiently and leave the office a little earlier. Ultimately, the goal of these organization strategies is to create a work environment that works well for you — and isn’t that why you went into business for yourself in the first place?